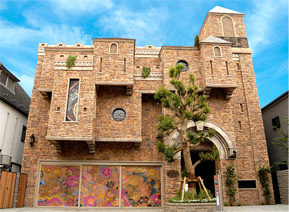 The Artcomplex Center of Tokyo was founded as a gallery complex in a quiet neighborhood of Shinjuku-ku, Tokyo in July 2007. There are 5 gallery spaces on the second floor. In addition, there is a cafe on the ground floor so that visitors can enjoy the art walk and relax in a stylish cafe. The Artcomplex Center of Tokyo seeks to elevate the role of art in contemporary culture through its active support of artists and cutting-edge approach to the art community by holding various workshops and art programs in addition to providing the opportunity to exhibit works. Copyright 2018 The Artcomplex Center of Tokyo. All Rights Reserved.